Part of what makes Colorado summer music festivals so sweet is there’s always more to explore pre- or post-show. Make sure to stop and smell the ponderosa pines or admire the 14,000-foot peak on your journey to or from your event. No wonder NPR named the Bravo! 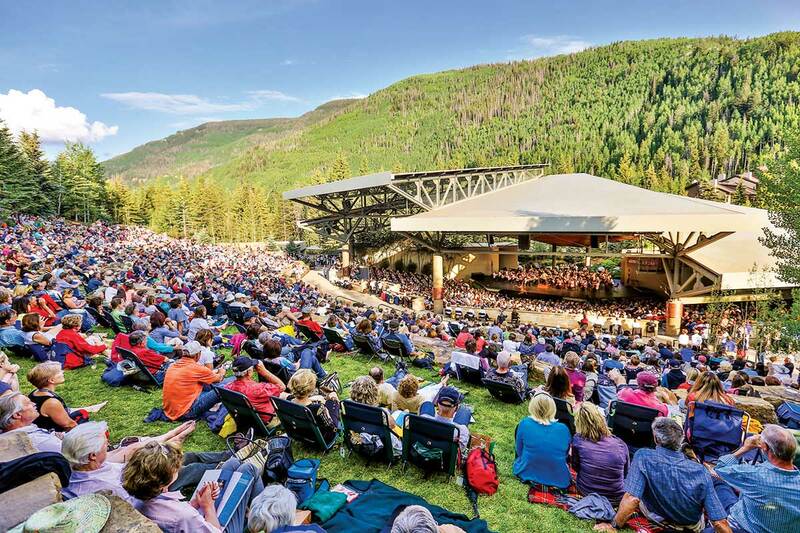 Vail Valley Music Festival one of the Top 10 Can’t-Miss Classical Musical Festivals in the United States, since it’s the only North American festival to have three of the world’s best orchestras — the Dallas Symphony Orchestra, the Philadelphia Orchestra and the New York Philharmonic — grace its stage in a single season. Its long-running chamber music series features eclectic performances from world-renowned artists. In the summer, the Vail Valley’s full calendar of events includes running and biking races, dance and music festivals, and culinary celebrations. Golfers of all skill levels enjoy the challenge of Vail Valley’s five mountain golf courses and the high-altitude air, which lets them experience the longest drives of their lives. Next, head west to explore Colorado’s wine country, nestled in the Grand Valley where more than 20 wineries and vineyards call the area home. Just a tasting or two and you’ll realize there are really good wines in Colorado. After imbibing, head north from Grand Junction to visit Dinosaur National Monument. Admire the stunning summer scenery around the Green and Yampa Rivers, and learn about the dinosaurs that used to roam the area. You can thank us later for our advice to stop at Harpers Corner Road to take in the awe-inspiring views. The Underground Music Showcase (UMS) is a gargantuan celebration of indie music that features more than 400 local and national acts at more than 20 venues along Denver’s South Broadway. From its modest beginnings with just 300 tickets sold, the showcase continues to swell in size and has gained national recognition as a destination festival heading into its 19th year. We’d recommend hitting at least one of the Mile High City’s ever-growing list of must-see museums, cultural attractions and restaurants before leaving town, but then it’s time to head west and get on the Mount Evans Scenic Byway to traverse the highest paved road in North America (only accessible in summer). To reach the top, you’ll ascend nearly 9,000 feet to the 14,264-foot summit of Mount Evans. You could also head south to Colorado Springs to drive or take the cog railway to the top of Pikes Peak, the 14,115-foot majesty that inspired “America the Beautiful.” Nearby Manitou Springs, a National Historic District, retains a fun hippie vibe with art galleries, boutiques and outdoor cafes. 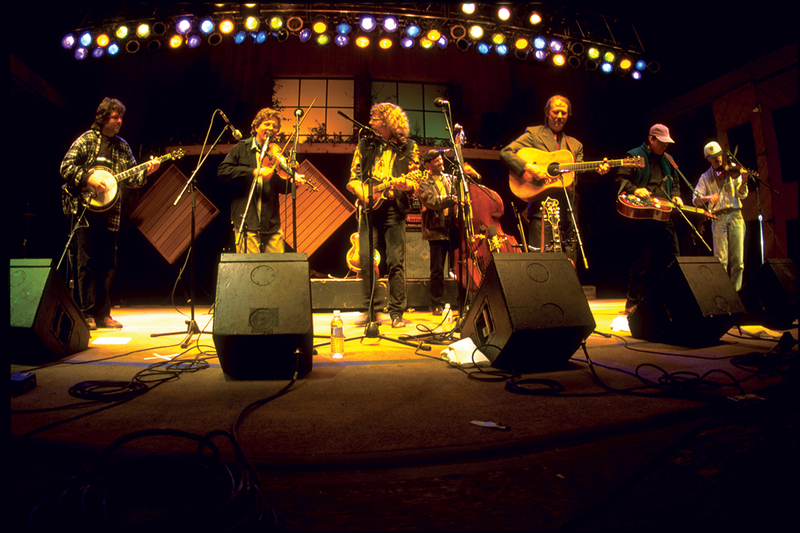 Celebrating 28 years in 2018, the Rocky Mountain Folks Festival packs Festivarians — the handle given to its attendees — on the lawn of Planet Bluegrass, a 5,000-capacity venue where there are literally no bad seats thanks to a beautiful setting under Longs Peak and alongside the St. Vrain River. Designed to showcase talented songwriting, the event has a nationally recognized Songwriter Showcase and has attracted talented musicians such as Randy Newman and Elephant Revival. History-lovin’ festivarians would enjoy a visit to the town’s 1881 school house, which is now the history museum, and the old train depot, revitalized as the town’s library. Anglers love to catch and release fish from the three forks of the St. Vrain that converge in Lyons while hikers and mountain bikers have a plethora of routes to explore. NPR may think of Lyons as the “Nashville of the Rockies,” but it’s also known as “The Double Gateway to the Rockies” because, in just 20 miles along highways 7 or 36, you can reach Estes Park and all the recreational opportunities of Rocky Mountain National Park. From the Stanley Hotel, which inspired Stephen King’s novel The Shining, to the elk herds to shopping, you could add another week to your trip just to explore this area. But to really see the Front Range in all its glory, hop on the 55-mile-long Peak to Peak Highway, Colorado’s oldest scenic byway, which is dotted with ghost towns, state parks and national forests from Estes Park to Black Hawk and Central City, two former gold-mining towns that now lure folks to gamble for casino fortunes amid mountain scenery. For three days and nights, the Telluride Blues & Brews Festival celebrates funk, blues, indie, rock and more at 8,750 feet above sea level. What’s the accompaniment? Some of the best craft brews in the country, of course. After the lights go out on the Town Park stage each night, several music venues throughout town get jammin’. It will only take a few moments to understand why Telluride has tantalized so many, including legendary B.B. King, who claimed it was the most beautiful place he had ever seen. You won’t find your grocery-store Starbucks here. No worries. Telluride’s many locally owned, and high-quality shops and restaurants will more than satisfy. When in this corner of the state, you must take a trip north for about an hour or two to visit Ouray, “The Switzerland of America.” This little town is set like a jewel at the narrow head of a deep canyon. You can soak in the hot springs, go four-wheelin’ or just sit back and enjoy a beer and a burger. Due south from Telluride is Durango, where the Durango & Silverton Narrow Gauge Railroad threads through the San Juan National Forest. Durango’s historic downtown district is full of restaurants and shops that make you feel you have stepped back to a bygone era. Just a short drive away, you can walk in the ancient footsteps of the Ancestral Pueblo people at Mesa Verde National Park. 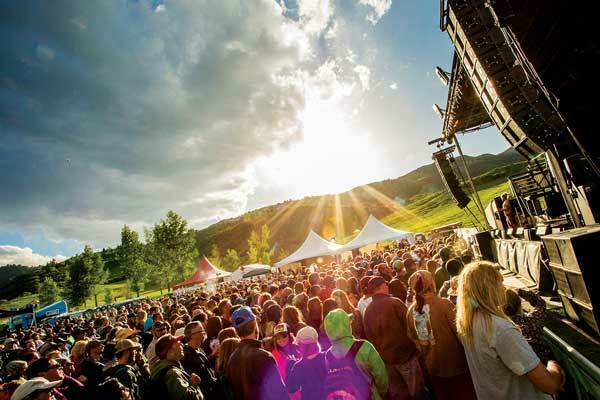 Check out Amazing Colorado Music Fests: Sounds of Summer, 8 Scenic Colorado Music Venues and 11 Quintessential Colorado Summer Festivals. Summertime means hiking time. When the snow melts in Colorado, the beauty that lies beneath is brilliantly exposed.